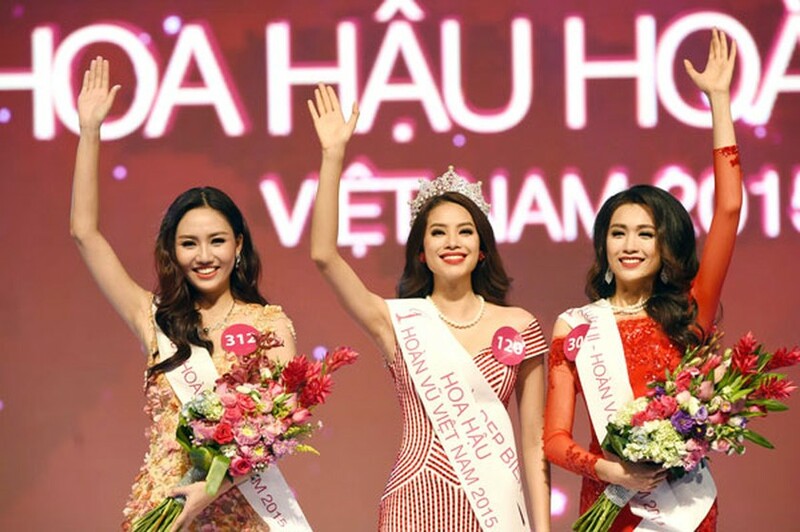 The Ministry of Culture, Sports and Tourism has officially licensed the Hoan Vu Joint Stock Company (UniCorp)5 to organize the Miss Universe Vietnam beauty pageant 2017 that will be kicked of from January, 2017, announced the organization board. Pham Thi Huong (C), from the northern port city of Hai Phong is winner of the Miss Universe Vietnam 2015. Registration is now open, and will be opened until May 31, 2017. The final round will be held at the world class resort and entertainment complex, Diamond Bay City in the central coastal city of Nha Trang in Khanh Hoa Province. The climax night of the pageant will take place at Crown Convention Center on August 19, 2017 and broadcast live on VTV channel. All Vietnamese women living and working in the country who are between the ages of 18-25 over 1m65 tall , single, without children and have at least a high school diploma, have not got any plastic surgeries are eligible to take part in the contest. 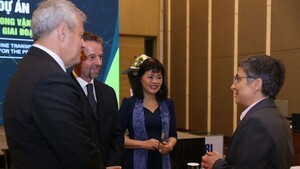 Participants can get further information and registration form at the website www.hoahauhoanvuvietnam.com. The winner of the beauty pageant will be representative of Vietnam to take part in Miss Universe 2017. Singer Thuy Lam won the Miss Universe Vietnam which was held for the first time in 2008. Pham Thi Huong, from the northern port city of Hai Phong was winner of the Miss Universe Vietnam 2015.